With outdoor living projects on the upswing, we at Danver Stainless Outdoor Kitchens are proud to have been an industry trendsetter and contributor for the past 12 years. As proven with our years of experience, sales and daily interactions, it’s clear the principal trend in outdoor living is moving beyond the outdoor kitchen towards creating complete outdoor rooms and living spaces. The kitchen is still the focal point of the design, but the layout and materials are becoming increasingly more sophisticated and complex. Long gone are the days of simply creating a small area to grill outside and enjoy dinner. Now outdoor living spaces are given as much detail, budget and design as indoor kitchens and living rooms. The force behind this growing trend is twofold. First, homeowners are seeking a fully functional kitchen, which is simply not possible with masonry islands. The islands typically have cutouts for the appliances (grills, side burners and refrigerators) and for access doors and small drawer inserts for utensils and things. In the past year, we have seen a substantial increase in designs that started as BBQ Islands and changed to fully functional outdoor kitchens utilizing utility and storage cabinetry. In many of these cases, the homeowners and their contractors were simply not aware of the options available using cabinetry or the door styles, colors and finishes available on the cabinets. Homeowners are looking to create purposeful rooms to avoid trips back and forth to the interior kitchen. Simply stated, the homeowner wants more appliances, accounting for an increasing percentage of Danver’s quoted products, for their living and entertainment center, no longer making the grill the sole focal point. For example, at Danverwe surveyed four months of quotes and orders, finding 70 percent called for a refrigerator, 60 percent called for sinks and 30 percent called for ice makers and power burners. The builder and remodeler are the other forces. Putting “pencil to paper,” the cost of modular cabinetry is similar to the labor and material costs to build a BBQ or masonry kitchen island. Builders also realize the more stone work involved results in additional work for the contractor. With modular cabinetry and a stone surround, the crews can finish an installation quickly and move on to the next project. And, of course, the more projects builders and contractors can squeeze into a season ultimately affects their overall revenue. With homeowners looking to extend their living space with complete, well-designed rooms, outdoor spaces require the same care and detailed design as their interior counterparts. Customers are concerned with three main objectives for outdoor kitchens this year: style, functionality and relaxation. At Danver, we’ve dedicated time and effort to create the following products and tips to maximize on these growing trends to help homeowners, designers and builders achieve their outdoor living goals. Outdoor kitchen owners are looking for cabinets and accessories that say high-class without the high price tag for maintenance and repair. 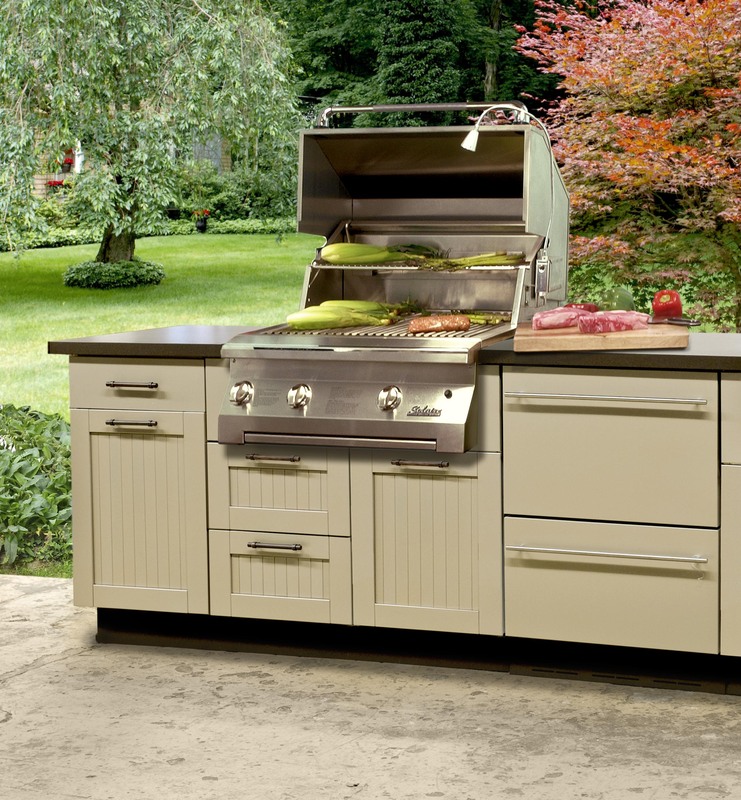 Luckily, with Danver’s stainless steel durability and various finishes, outdoor kitchen cabinets are virtually maintenance free. Also available are 10 different wood-finishes, customized paint options and optional stainless steel door styles. 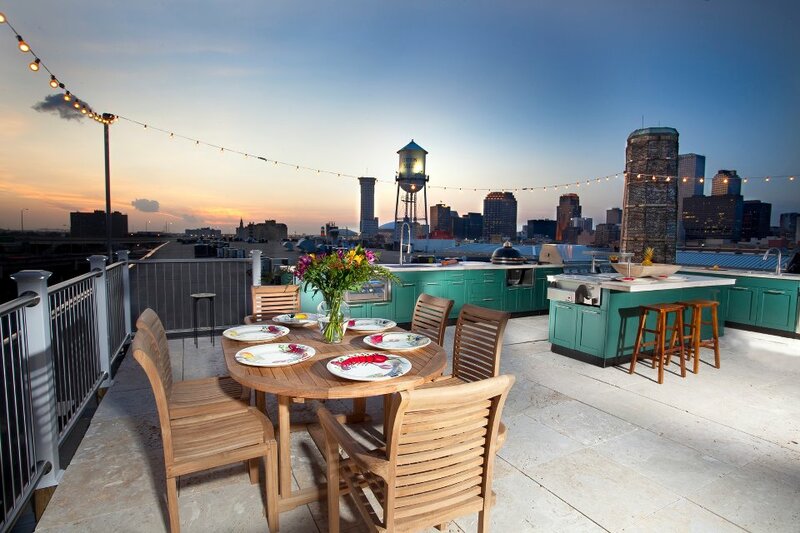 Just as interior kitchens are used for cooking, congregating and entertaining family and friends, outdoor kitchens should also serve multiple purposes. When designing an outdoor kitchen, always consider the flow of the space, especially if the backyard includes a pool or another cooking area. Multifunctional outdoor spaces will be used to entertain different types of guests, so consider your options – whether it is a beer dispenser, fire pit, pizza oven or even an LCD flat screen TV. The aesthetics of an outdoor room are equally as important as its functionality. Adding personality to an outdoor room creates a warm and inviting space. From layout, to size, to door styles, every little detail should be taken into consideration to make an outdoor room a comforting space. Based on our research and sales, it is proven that specificying Danver cabinetry/outdoor kitchens provide additional revenue for contractors, builders, architect, etc. 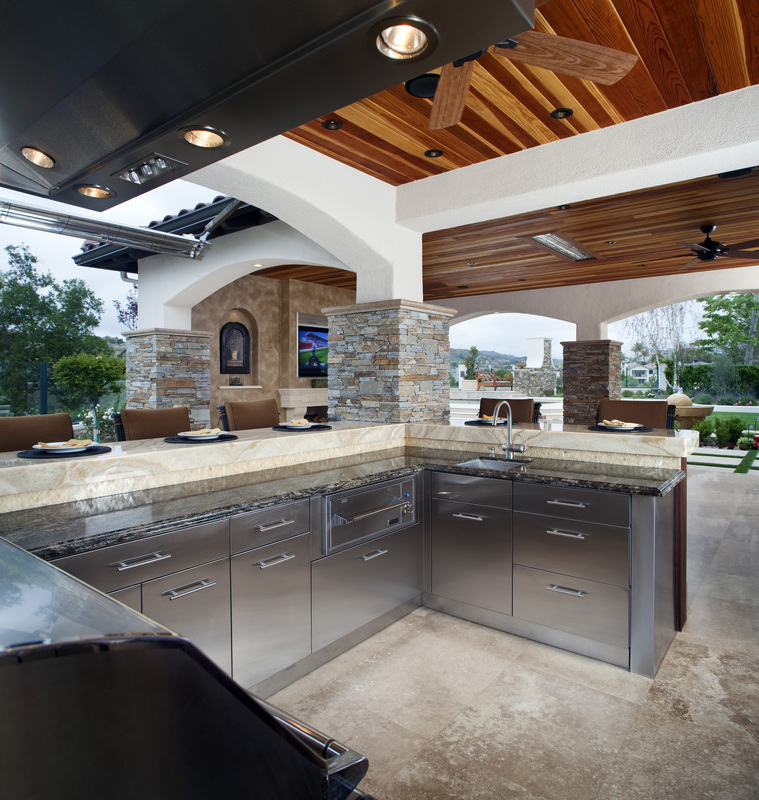 What is your biggest fear for specifying an outdoor kitchen space? We recently added an Italian Ceramic Glazed Lava Stone surface line to our plethora of outdoor products. What are the 3 must-haves in your outdoor living space? Bring your indoor design outdoors with a wide variety of custom cabinetry options. Do you prefer the classic stainless finish, custom color, or wood? Describe some basic design elements in an outdoor kitchen or living space. What role does color play in outdoor kitchen design?